A "By The Numbers" pattern. 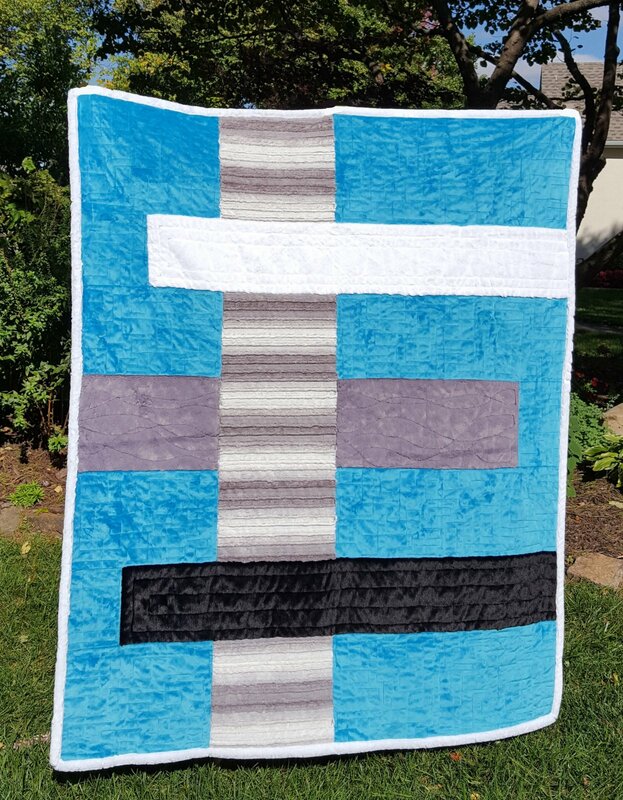 This is a "Plus" pattern made with 60" wide Cuddle fabric. A takeoff of Gina Zeleznok's Modern Focus (used with permission!!) Quilt finishes 58" x 72". Fast! Fun! Finished!